Home » Pediatricians » Ryan B. Wilcox, M.D. 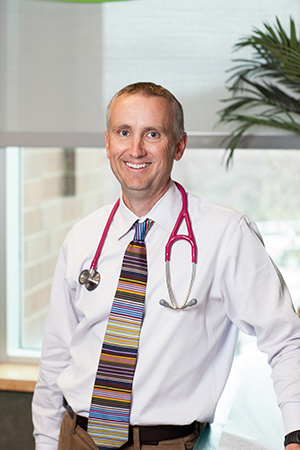 Dr. Wilcox practices in our American Fork office and specializes in general pediatrics. Dr. Wilcox is fluent in Spanish, Portuguese and English. His interests are spending time with his wife and two children, reading, outdoor activities, traveling, and running marathons. Dr. Ryan Wilcox is featured on Mormon.org. "Dr Wilcox is definitely my pick for a pediatrician. He cares about the kids. He's personable with them and he listens to them. He lets me ask all my questions without making me feel rushed to get out. He knows what the kids need and helps me as a parent to give the kids the best health and other help necessary. He's always ready with an answer and /or recommendation." -Laura J.
Ryan B. Wilcox, M.D. practices in our American Fork Office.